Many people have old cars, junk cars, wrecked or even some without a title just sitting in their yard, with no intentions of either fixing them or ever driving them again. You don’t want these automobiles to become a permanent fixture in your yard or an eyesore. In many cases, vehicles can leave you stranded on the side of the road with no way to get it home or to a junk yard. You know you can’t leave your car on the edge of the road forever, and certainly don’t want it growing roots in your yard, so now you must call someone. 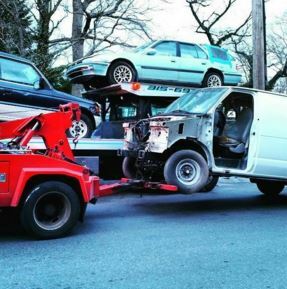 You will need to find someone who will tow your car, and here at Michiana Junk Cars, we are equipped with state of the art tools, which enable us to haul it, regardless of the shape or condition your automobile. There are two options for you once you get your vehicle towed; the first being that you can get cash for your junk or even wrecked cars, the second being you can donate your junk or used car to charity. If you no longer have the title for your vehicle, selling it would be next to impossible and while you can scrap it out for parts, in the end, it’s rarely worth the trouble, leaving you with only being able to scrap or donate the entire car. When you scrap your auto for money, it's difficult to know in advance the amount of money you'll receive. It’s very different than just walking up to a car lot and seeing a sales price. There is a procedure the car must go through before the amount is determined. Donating your vehicle is just that, donating, rather it be to a charity or to the towing company who initially towed the car. Donating implies that you are helping somebody, who generally wouldn't have the ability to purchase an auto, or acquire a vehicle. Just like you can scrap a car no matter what the vehicle looks like or the problem it is having, the same is also true when donating a car. The difference in donating and selling is that on one hand you make a little profit, on the other hand not only do you help someone in need but, in most cases, can also be used as a tax deduction. After you've chosen to scrap or donate your vehicle, it necessary to deal with a reputable company and Michiana Junk Cars is precisely that. Some junk car lots will require you to remove the tires, remove the windows and in some cases, dismantle the seats. 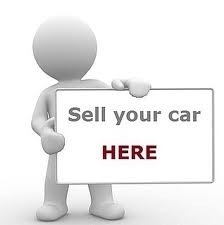 We here at Michiana Junk Cars doesn't require any of that. 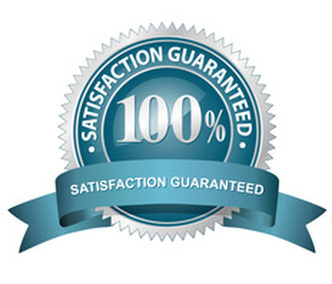 We realize that dealing with a junk or disabled car can be frustrating and at times overwhelming. We try to elevate some of that stress for you; from the time you call till the time we tow your vehicle to the tow yard, you will be dealt with in a professional and friendly manner.